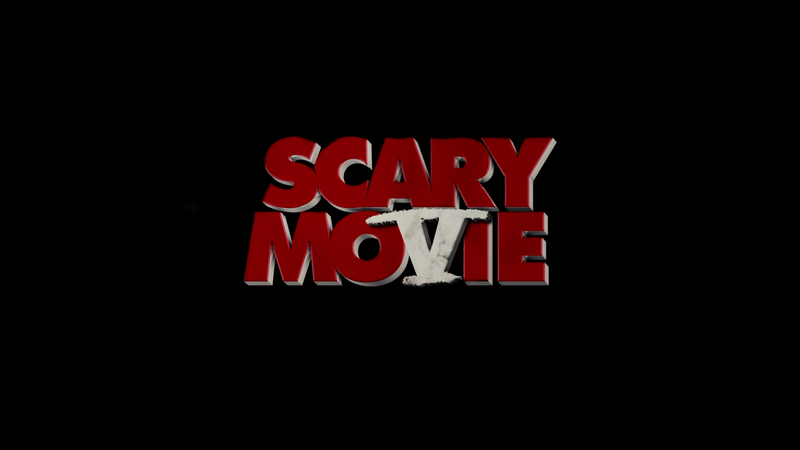 Scary Movie 5 is an ugly, ugly movie even by comparison to #2 and #4 which were easily the worst of the franchise. But even worse so, this “movie” rivals the crap Friedberg/Seltzer continually puts out and those are some truly awful films in their own right. I’m astonished that credited writers David Zucker and Pat Proft didn’t downright file a lawsuit to have their names removed. The Blu-ray unfortunately does have respectable audio/video transfers but the bonus features are unsurprisingly minimal in content. Well, it has finally happened. After hundreds of reviews spanning 15+ years, I’ve finally gone insane. I suppose I shouldn’t be surprised that the Scary Movie franchise has fallen to the levels of a Friedberg/Seltzer production like Date Movie, Meet the Spartans and Disaster Movie, but it has finally happened. Scary Movie V a.k.a. Scary MoVie, is a steaming pile of you know what with not one ounce of humor in a jumbled up mess put on film. The remnants of a story has a pre-credit opening with Charlie Sheen (playing himself and not the character from #3 and 4) having a fun time in the sack with Lindsay Lohan (also playing herself) being filmed with cameras, a la Paranormal Activity, when they experience some supernatural goings-on and soon enough Charlie perishes off-screen. I don’t remember what happened to Lindsay and honestly, I don’t give a crap. It’s the last we’ll see of them so it really doesn’t matter. Charlie’s three kids, however, are missing and discovered by a couple of stoners (SNOOP DOGG and MAC MILLER) taking a stroll through a “creepy” forrest when they come upon, get this, a *cabin in the woods* which they say over and over and over just in case the audience didn’t get the self awareness that they are spoofing the horror movie. Inside they find the three kids, muddied and messed up. We next meet our happy couple we will be following for the remainder of this train wreck: Charlie’s brother, Dan (SIMON REX) and Jody (ASHLEY TISDALE), two yuppies who are given custody of the children and also get a home, wired with cameras, to live in. Yeah, the writers couldn’t even bother coming up with a plausible reason for it… And, of course, some paranormal stuff begin to happen including a possessed nanny, characters getting hit with pots and pans and a neighborhood vacuum party. As with the Friedberg/Seltzer (alum writers from the original SM) “films”, Scary Movie 5 continues the tradition of putting random crap in from random movies, some not even horror, and calling it a day. Other films spoofed, and obviously filmed at the last minute, is Mama (which takes central stage) and even Evil Dead where Jody and friend find go to a cabin to find a book of evil in order to get rid of the wicked spirit plaguing the children. A couple of the more oddball choices to lampoon were Black Swan and Inception, the latter of which was prominently shown in the trailers (though it was an alternate scene not in this “unrated” cut). Even though when it was released back in 2000, Scary Movie started the trend of spoofing recent releases; it at least had some decent laughs and scenes that even today are at least kind of funny. Heck, even its unfunny sequel tried to change the trend and weave together some sort of story, but by Scary Movie 3 & 4, from the writers of Airplane, they seemed to stop trying, although even THOSE movies elicited a few giggles and chuckles from me (note I gave #3 a 2.5/5 and #4 a 2/5), but Scary Movie 5 really takes the cake and although the quality of work from David Zucker and Pat Proft have taken a nosedive, I suspect that what was seen here was from some unseen/uncredited writers (and based on my reading, the Mama and Evil Dead scenes were indeed added very late and replaced a chunk of the Black Swan section). Scary Movie 5 is an awful, disgraceful piece of garbage that should be forgotten and gather dust in bins at some undisclosed warehouse in some random city off of U.S. soil. The SM franchise as a whole should also be buried once and for all, although given its gracious $75 million worldwide total (on an astonishing $20 million budget), something tells me a sixth one could still happen even if it is direct-to-video. Even the producers of this Blu-ray couldn’t muster very much up for this release. After previews for Scream 4 (how quant), Dark Skies, Mac & Devin Go to High School we get a set of Deleted & Extended Scenes (9:51; HD). Also, if you want to infect your computer, you can get the UltraViolet Digital Copy. A DVD Copy is included as well. In all seriousness, I would’ve loved to had a commentary just to hear the filmmakers defend this garbage. 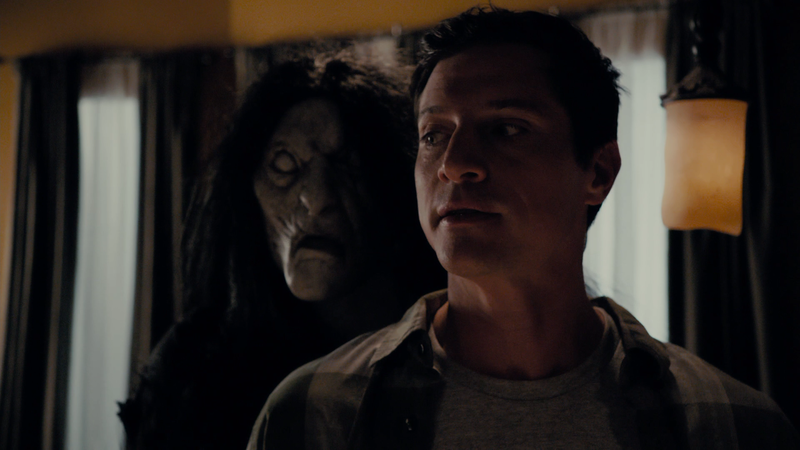 Anchor Bay unleashes the torture that is Scary Movie 5 onto Blu-ray presented with a 1.78 widescreen aspect ratio and a sickeningly excellent looking 1080p high-definition transfer. The picture here is pristine thanks probably to being filmed digitally. The level of detail is top notch, the color array looks well balanced and there’s deep black levels showing no obvious signs of artifacting or pixilation. The movie might be crap, but the picture is near perfection. Overall, Scary Movie 5 is an ugly, ugly movie even by comparison to #2 and #4 which were easily the worst of the franchise. But even worse so, this “movie” rivals the crap Friedberg/Seltzer continually puts out and those are some truly awful films in their own right. I’m astonished that credited writers David Zucker and Pat Proft didn’t downright file a lawsuit to have their names removed. The Blu-ray unfortunately does have respectable audio/video transfers but the bonus features are unsurprisingly minimal in content. The sooner this miserable garbage is forgotten, the better.